Kourtney Kardashian’s go-to foundation is by this FAB Irish brand | SHEmazing! The secret to Kourtney Kardashian’s flawless skin? 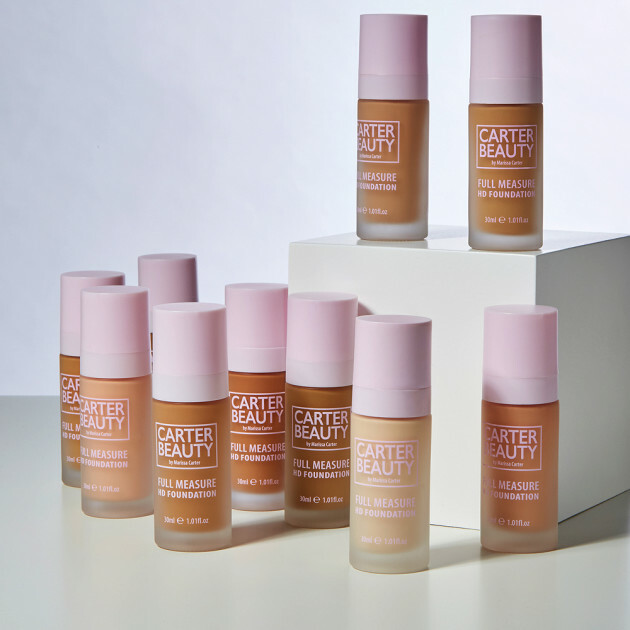 Irish brand Carter Beauty by Marissa Carter’s €9.95 Full Measure HD Foundation. Celebrity make-up artist Rokael Lizama let slip last night that he uses Carter Beauty’s bestselling Full Measure HD Foundation to create Kourtney Kardashian’s flawless glow. 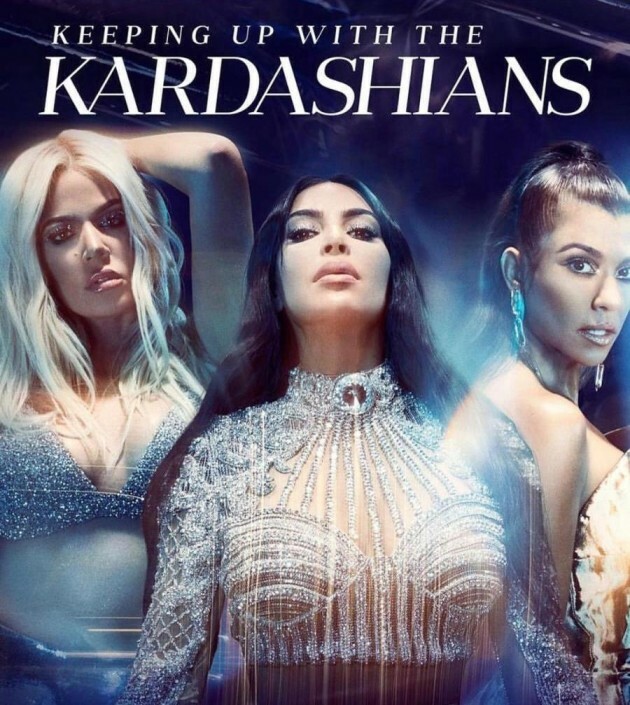 The celebrity make-up artist credits the hero buy for holding fast under filming lights on set, having used it during filming for the promo of the latest season of Keeping Up With The Kardashians. In imagery from the Season 16 promo shoot, Kourtney’s skin looks flawless thanks to the high-coverage, lightweight budget foundation. Heralded as a cult buy by make-up artists, beauty experts and consumers alike, Full Measure HD Foundation is a make-up bag must-have, available in 12 shades from Meringue through to Vanilla Fudge. Entrepreneur Marissa Carter is no stranger to A-list love, last month Ariana Grande wore her €4.95 Supreme Gel Liner in the music video for break up with your girlfriend, i’m bored and sister brand Cocoa Brown by Marissa Carter counts both Kylie Jenner and Khloe Kardashian as fans. 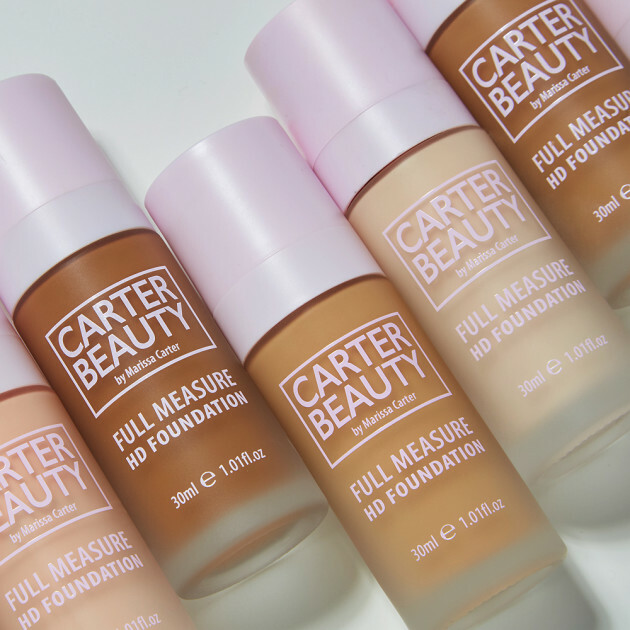 Carter Beauty’s Full Measure HD Foundation is a lightweight, full coverage foundation which leaves a flawless finish. Full Measure was developed for creating impeccable looks that last. Full Measure is buildable for medium to full coverage. The light, water-based formula glides onto the skin leaving incredible coverage as a base for any type of make-up look. As for which shade Kourtney wears? Crème Brûlée. Get it before it’s gone.